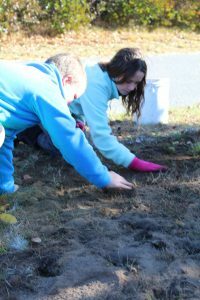 Our 2018 planting took place on Tuesday, November 6th along Main Street in ‘Sconset. Originally scheduled for Saturday, November 3rd, but rescheduled due to weather. The crews of J&M Landscape Services and Champoux Landscape planted this year due to time constraints and bad weather. 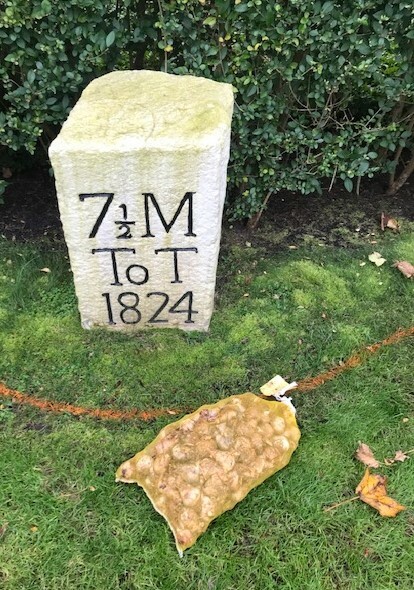 Through a special “Daffodil Planting Donation” at the Dreamcatcher Dinner and Auction the Foundation has raised over $50,000 in recent years and has planted over 75,000 donated daffodils. 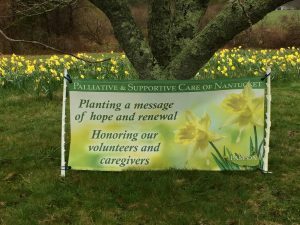 They’re planted in honor of all of our volunteers and caregivers working around the clock to improve the lives of critically ill patients and loved ones every day.Their beauty each spring should serve as a reminder of hope and renewal as well as of community. Thanks to Champoux Landscape and J&M Landscape Services for coordinating this annual event and for donating materials and labor. Thanks also to the students and staff of the Nantucket New School, Ernst Land Design, and community volunteers for their help. 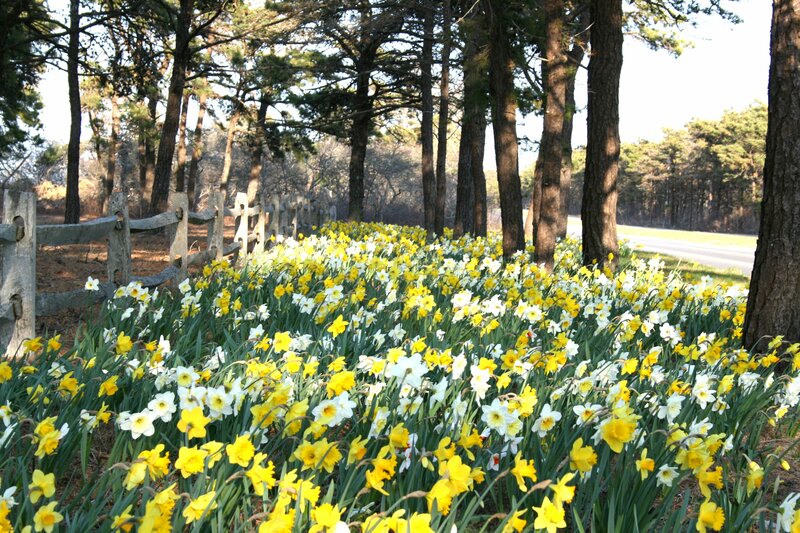 Over the years we have also received assistance from Nantucket Landscapes, Ryan Landscaping, and the Garden Club of Nantucket. 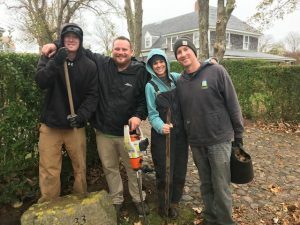 Please take a moment to read this nice piece on our annual planting by Shellie Dunlap of Lee Real Estate. It’s called “Sowing Seeds”. And this article by our Board member Sharon Woods Hussey appeared in the 2017 Daffy issue of Yesterday’s Island.